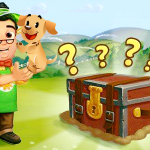 Hello Farmer, here is a little help so you can harvest your crops quickly, get these 10 Pack 5 Speed-Grow, completely free, are in total 50 Speed-Grow in Farmville 2 Free for you.Speed-Grow Speed-Grow instantly finishes growth time of a crop or a tree so you don’t have to wait for hours to harvest them. 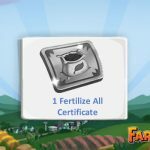 To instantly ready a grove for harvesting requires up to 4 Speed-Grow.By using Speed-Grow, you can get crops to a higher mastery level more quickly. Note that certain crops (usually fast crops like Radish or Rye) require over 4,000 seeds to be harvested before you are granted a blue, or even a red ribbon. You can loot 1 Speed-Grow while gathering Fertilizer from a Fertilizer Bin. The chance to get one this way is 25%. Some quests grant you Speed-Grow.